Devon and Lexi are the Chalk Twins, 17-time award-winning identical twin chalk artists. 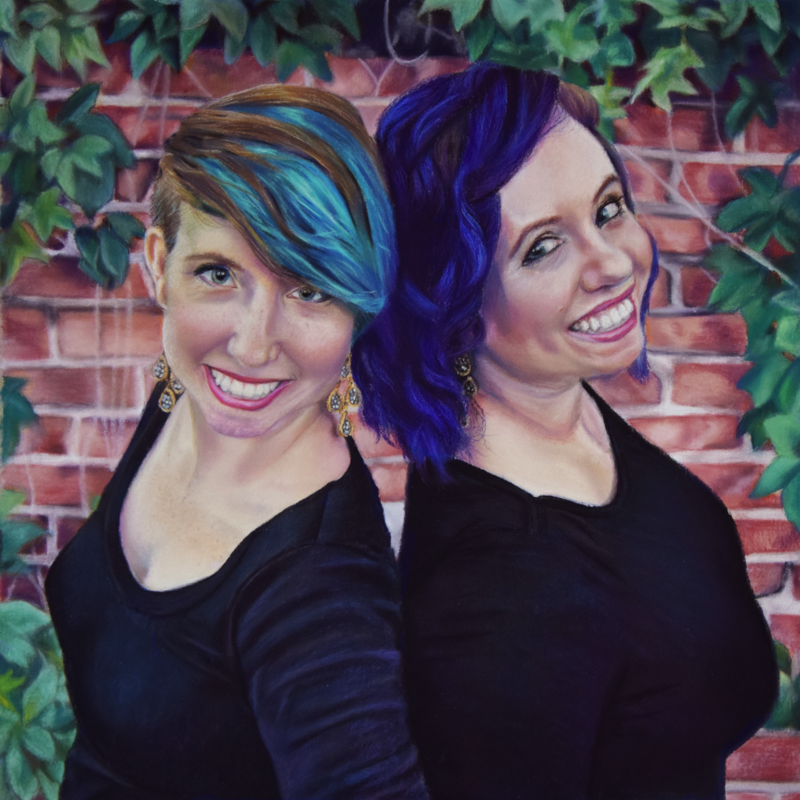 Devon and Lexi graduated from Furman University where they both received majors in studio art. They have had the opportunity to study different art media in Cortona, Italy. In addition to their formal study in art, Devon and Lexi have enjoyed tremendous success as chalk artists. Since they were sixteen they have been participating in chalk art competitions throughout the Southeast. For the Chalk Twins chalk art is a performing art. Devon and Lexi interact with audiences, talking about art, anime, movies, books, twin stuff or whatever else people wish to discuss – all while the artwork comes alive at their feet. The Chalk Twins have performed professionally at over 100 conventions, corporate events and entertainment venues. They are available to travel around the country or around the world to bring their talent to your show or special event. If you are interested in having them at your event click here.